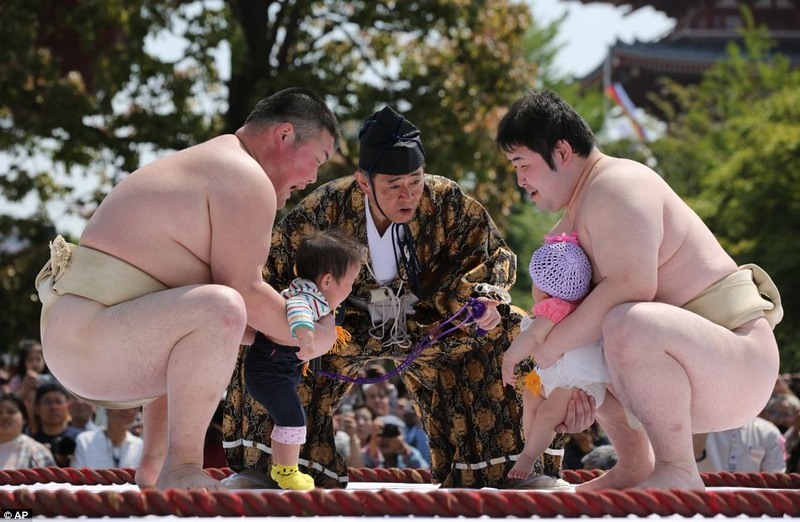 Every spring, a fierce competition takes place between enormous sumo wrestlers, but they aren’t wrestling each other to the ground. They're simply scaring babies. 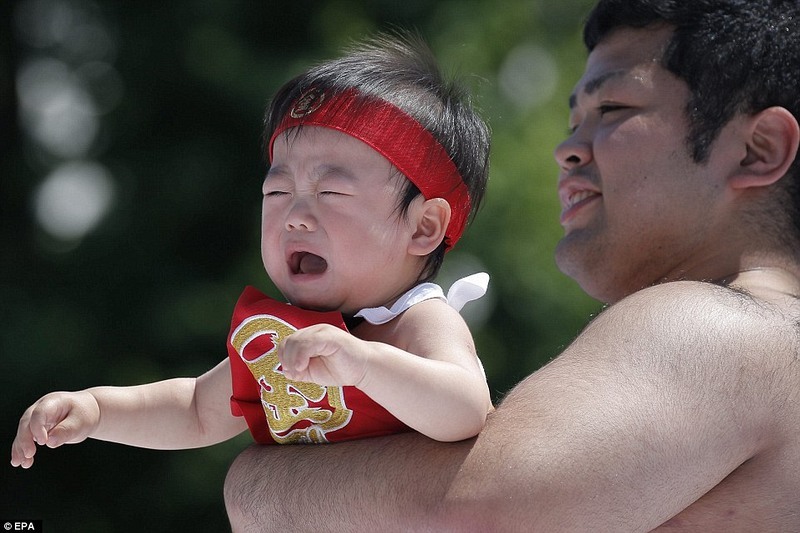 The competition is a 400-year-old Japanese tradition called Nakizumo, which literally means “crying sumo”, and involves two amateur sumo wrestlers harassing babies in order to make them cry. 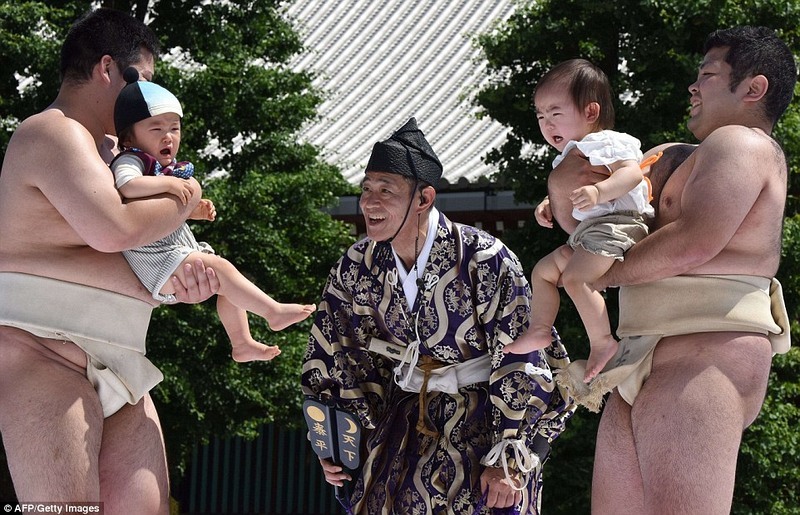 The tradition stems from the old belief that babies who cry loud and powerful grow up to be strong and healthy, while also ward off evil spirits with their screams. The event which is held all over the country draws scores a new parents who bring their babies born the year before dressed up in color costumes, caps and hairstyles. The day begins with speeches and an introduction to each baby. Then one by one, the babies are handed over to the two wrestlers, who stand across a wrestling ring facing each other. The goal is to traumatize the opponent’s baby until the poor child screams his or her head off. The first to cry wins. If both starts crying at the same time, then the one who’s the loudest is judged the winner. The wrestlers are even allowed to wear scary masks if they fail to make the babies cry.